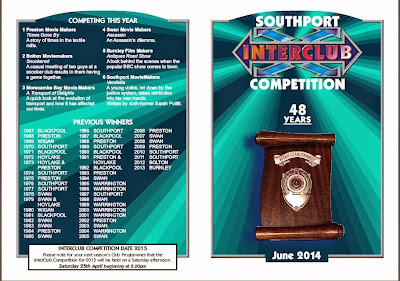 Read more about past competitions. Our Master of Ceremonies will be Club Chairman, Peter Ravenscroft. The event is being coordinated by the Club Competitions Officer, Les Thomas. At this meeting, our member Michael Alley will be presenting the premiere of his new film The Machine Stops, based on E.M. Forster's book of the same title. In the book, Forster was concerned about human dependence on technology. Although the book was published in 1909, it is just as relevant today as it was back in 1909. Perhaps even moreso. Consider the Internet. Members are encouraged to attend this evening to support the screening of Michael’s new film. Read more. This week, Alex Montague we will be looking at techniques in generating ideas for the development of stories in filmmaking. In the second half of the meeting, members will have the opportunity to employ some of those techniques as we start to develop ideas for the making of a short film about the Club itself, the production of which will take place during 2014/15. What do you think we should include in this film? Members are encouraged to take inspiration from other clubs from around the country who have produced their own promotional films. For example, Reading Film and Video Makers. A series of sequences and stills from a flying camera (Helicam) over Melling by day and Kirkby by night. Paul will be bringing the Helicam to the Club. Read more about Helicam. With writing by Alan Bennett and directing by Nicholas Hytner, a scene with Richard Griffiths (who died last year) and Sam Barnett from 'The History Boys'. Brief glimpses of two Artworks documentaries - 'Belief' and 'Art Without Rules'. In the second half of the evening, we will be having a movie quiz. The Club year will finish at the end of June and recommence at the beginning of September.